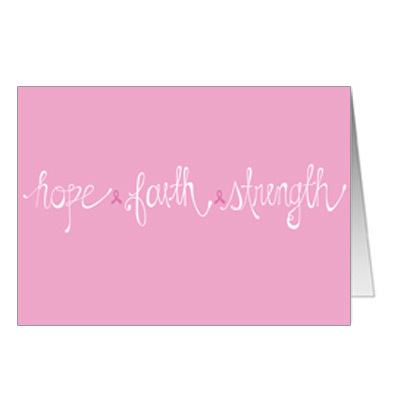 Show your support with this hope, faith & strength greeting card. The background is pink with the words, hope, faith, strength in white. Each word is separated by the breast cancer ribbon. The inside is blank to hand-write your own message Folded card measures 7x5.